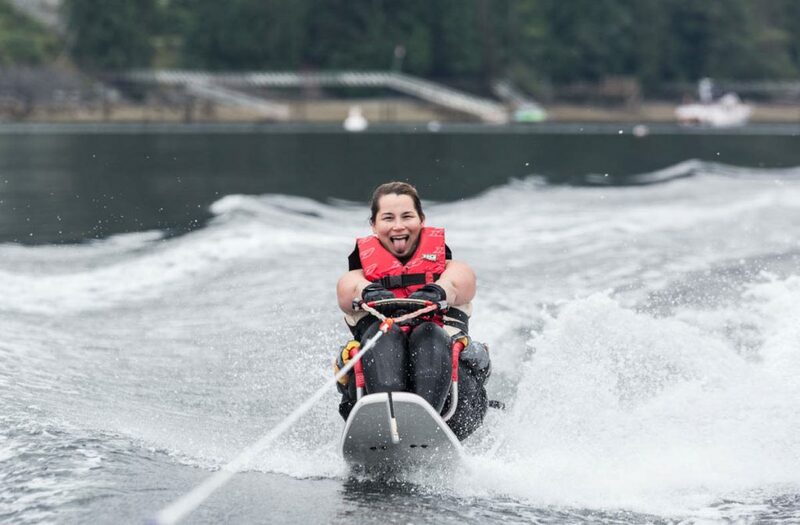 Adaptive Watersports: Waterskiing with Ski Ability! Injury Resources > Personal Injury Blog > Adaptive Watersports: Waterskiing with Ski Ability! With summer in full swing, I decided it was time to get out and take advantage of some of the amazing adaptive watersports available out there. 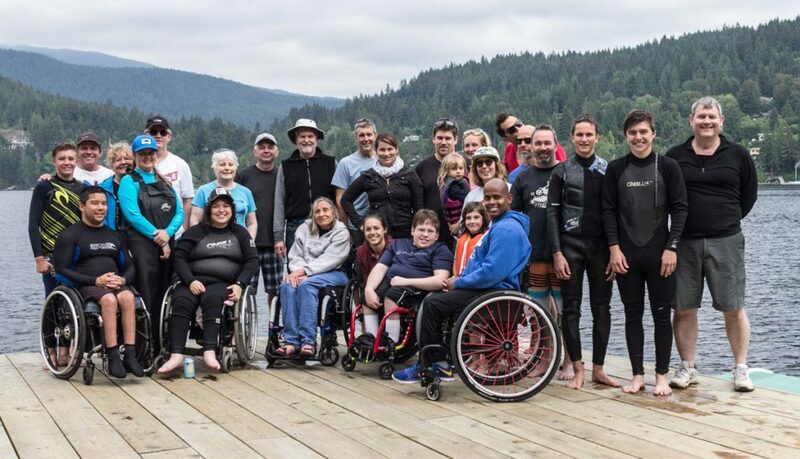 Ski ability recently hosted an adaptive watersport day where anyone with a disability could try out this epically fun sport. Now, I’ve learned that getting involved in adaptive water skiing isn’t that easy. It’s all word of mouth right now. So I’m hoping this post will help other people learn about and have a chance to experience this ridiculously fun activity. The wildest part about it that I learned is that people of all abilities can do this, and get out of the water. With a sit ski and a side-skier or two, anyone can get up and out of the water. So, if any part of you wants to whip across the water with the wind in your hair and adrenaline in your veins, you can do it. I’ve also learned that there’s a 2-day water ski camp held in Kamloops once a year as well. Sadly, we’ve missed it! But I’ll be signing up for it next year. For more information on the Kamloops event, check out their website HERE. I sure hope I see some of you out there next year! A special thank you to my amazing father, Wes Sheldon for the great photos.